A big “High 5” to our wonderful donors who came through for Stanley Park wildlife and ecosystems in 2018! 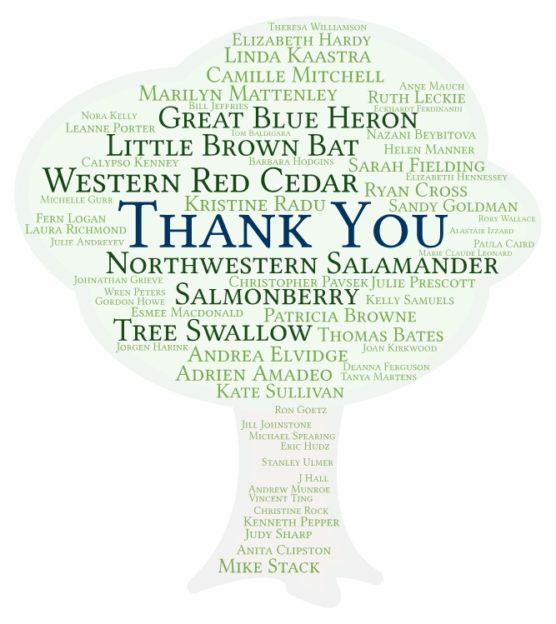 Your support ensures SPES’s education and conservation departments continue to deliver high quality programs in 2019. Our new Stanley Park adoption program proved popular in 2018. 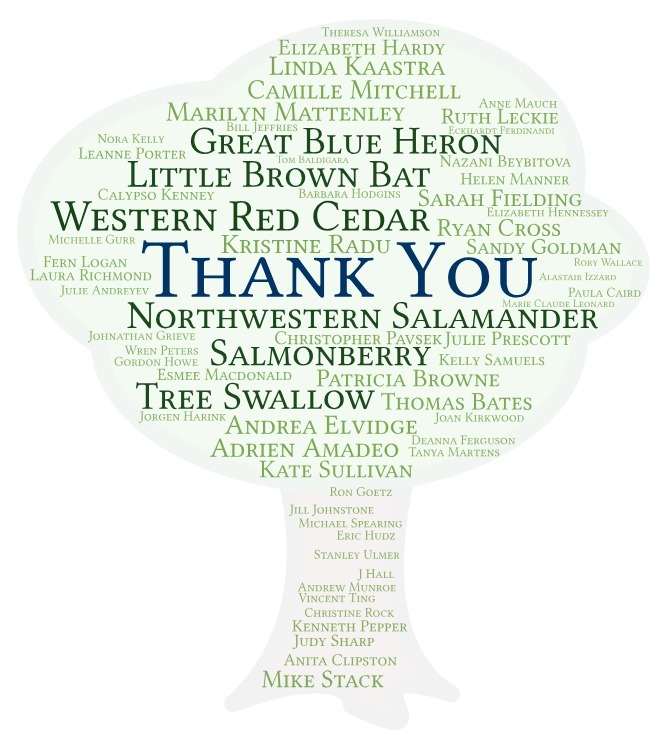 Donors symbolically adopted everything from a little brown bat to a Western red cedar tree! If you’d like to adopt to support Stanley Park, it’s not too late. Adoptions make thoughtful gifts, too! Each adoption certificate can be personalized in honour or in memory of a special someone. Check out your adoption options here.